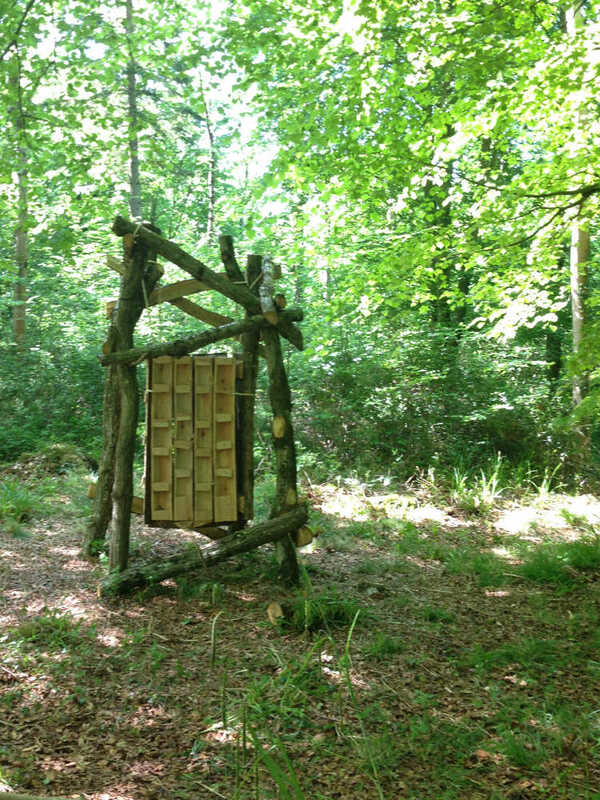 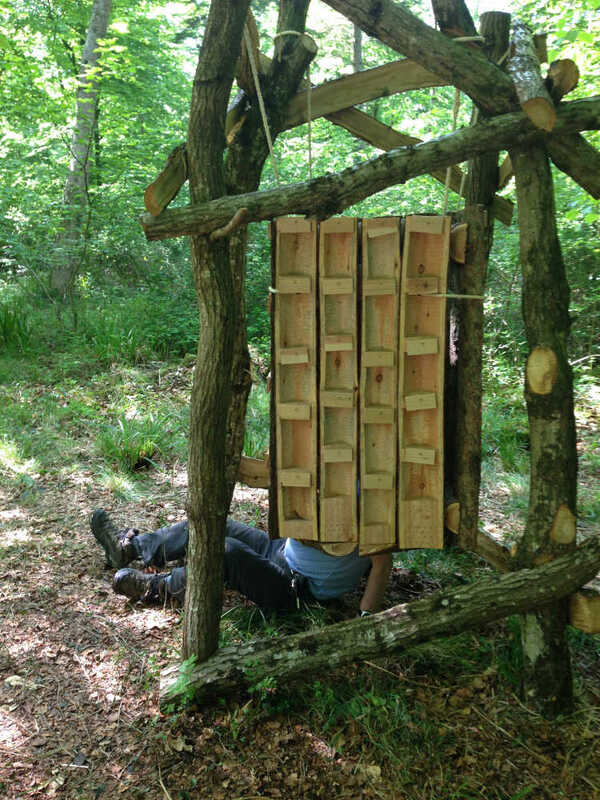 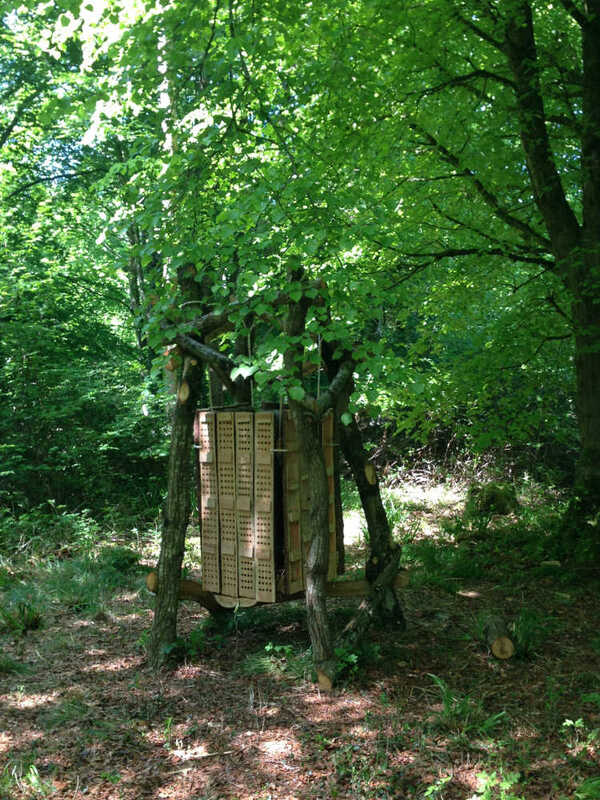 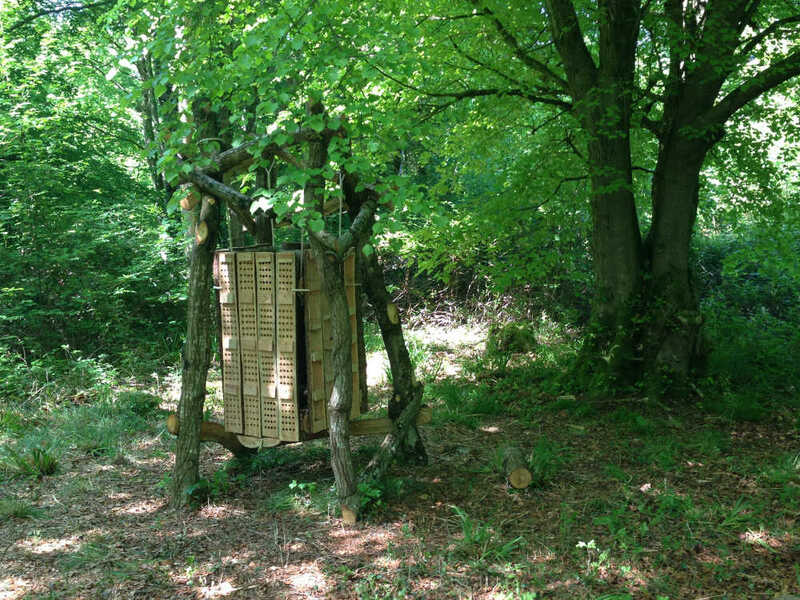 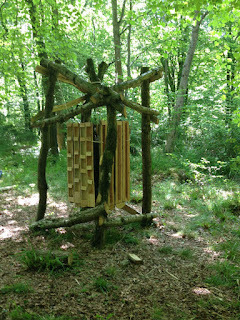 In Young Wood in Somerset, I have created a structure to collect and hold all the bounty of the forest, be that acorns and seeds to lichen and moss, bones and hairs. 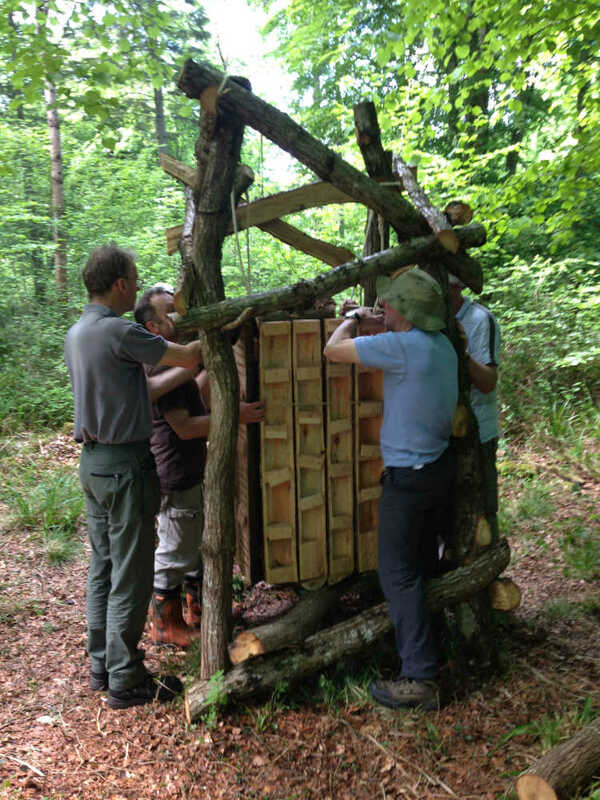 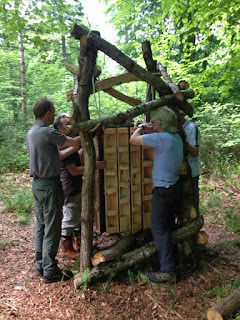 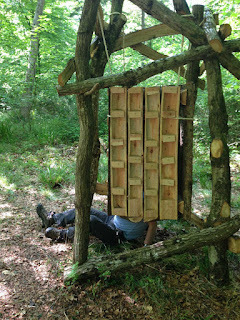 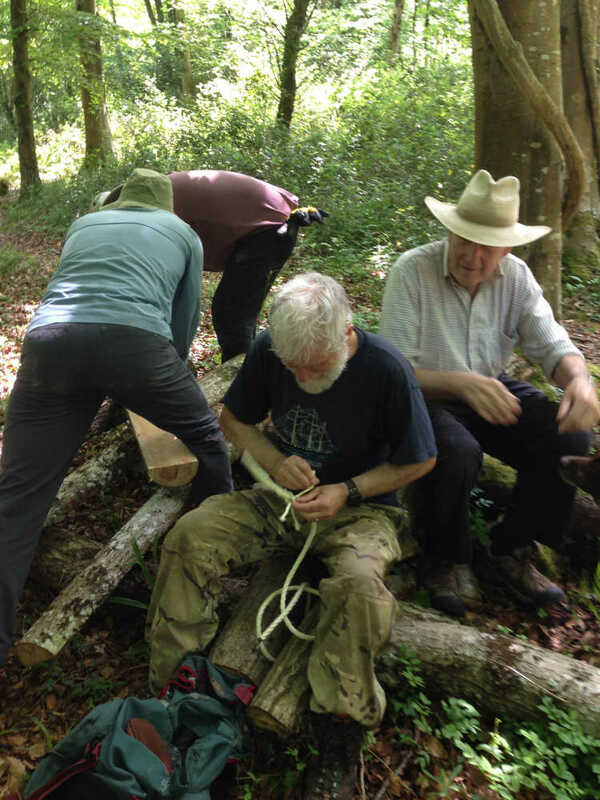 The idea is that everyone visiting the wood can collect and collate, store and notate the finds in the woods. 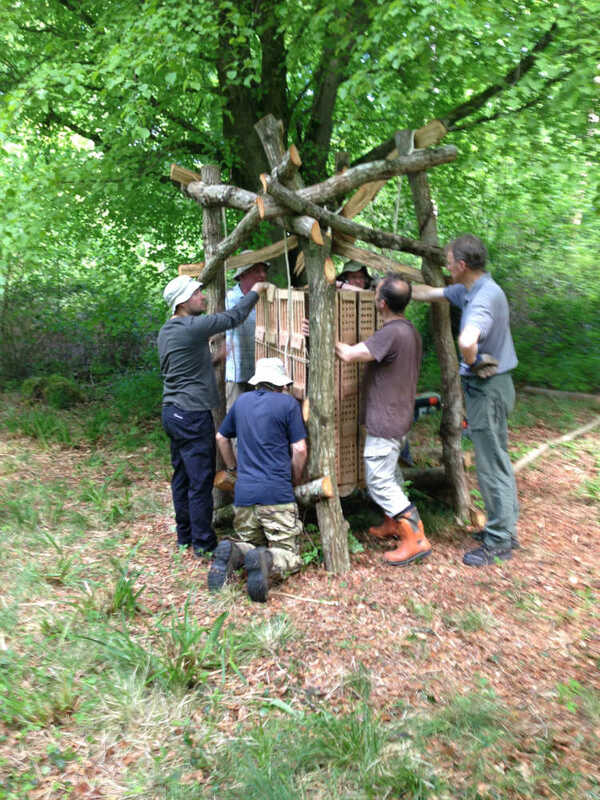 As you can see from the photographs I had a good deal of help install the main structure from the Neroche Woodlanders Volunteers, a big thank you to them and of course Gavin Saunders who not only commissioned the piece but cut wood, cleaved, lifted and helped throughout, it would not of been possible without him. 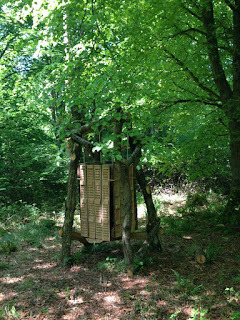 To Jo Hartas who is the spirit behind the shrine collection and will soon go deep into the wood and do the first ordering of species and decorative art.